The other day while at the hardware store I noticed a flooring/ roofing knife and thought it would work pretty well for skinning and gutting. It was pretty good but I still think a small regular old pocket knife is best. My family operates one of the larger big game processing operations in Minnesota. If there was one single tip I could give all hunters that wish to cut their animals at home, it would be to burn their kill. After skinning the animal take a blow torch and burn off all the remaining hair. It’s very simple and will eliminate 90% of the hair ending up on your cutting table. I have never taken a deer to a butcher in over 20 years. I can hang a few in the garage over a tarp and let them age if it is cold or if I am in a hurry and it is too far from the road I will take it off the bone in 15 minutes on the ground by skinning off each side from the spine down and flipping for the other side. You can also remove the front legs at the knee by using a knife in just the right spot and snapping it. Old- Used to have those old sunbeam grinder and slicer from the 70’s and the original foodsaver that you had to hold down real hard to get a seal. Also had the old school dehydrator with only a heating element. I have used small buck knives and old timer pocket knives to gut deer. I have used hatchets to break rib cages and pelvises and a hand saw to remove heads and horns. 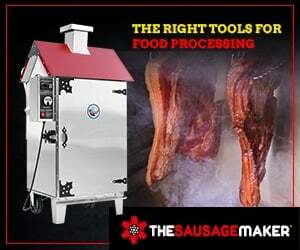 Wants- I would like a electric smoker and a sausage stuffer. The LEM grinder has stuffing tubes but like Hank said it may compromise the texture. Have any of you used the 10 minute deer skinner? I’ve butchered the last 3 deer I’ve killed. The website that was most helpful to me is http://www.huntershowto.com. The website doesn’t seem to have a lot of traffic and hasn’t been updated for quite some time, but the detailed videos are amazing. He really deserves more credit for what he’s done. 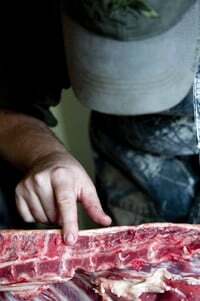 Through the various videos in the “Media” section, he basically shows every cut you should make from the first incision in the field to deboning the last front quarter. The only thing I do different is that I leave the shanks whole rather than stripping them for ground meat. If any of you have any trepidation about butchering your own deer, you should really watch these videos. I remember breaking deer down as a kid. I never remember taking a deer to the butcher. We have used the refrigerator “aging” for years. Depending on what the temps are, We usually skin and quarter the deer immediately. We turn the kids loose on the carcass to see how much meat they can get for their favorite jerky. If this does one thing, it teaches them a little bit about deer anatomy and the meat saver shots. 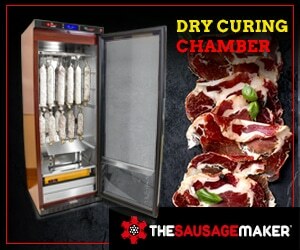 About 10 years ago we began making the sausage ourselves and have since added better quality stuffers, meat grinders and smokers to enjoy the bounty. 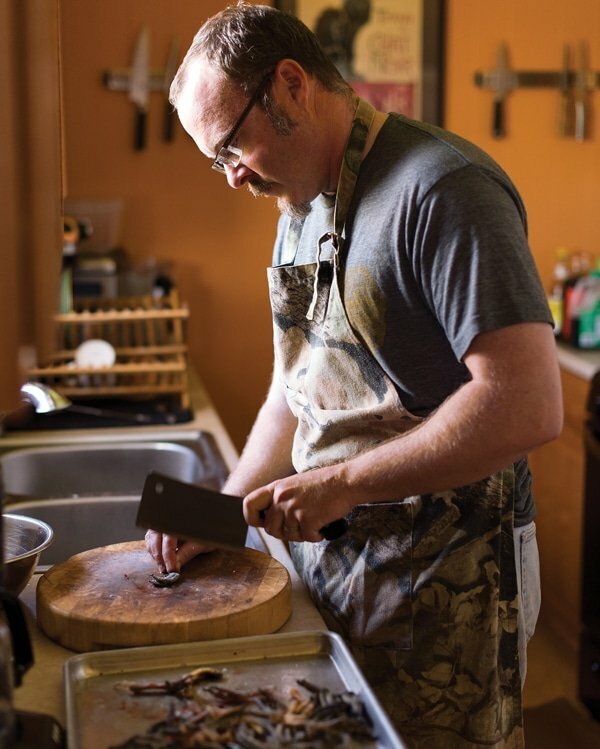 Recently, I have taken an interest in charcuterie using venison. I guess it’s part of the journey. I really enjoy your website Hank and refer to it on a regular basis. Keep up the good work.